For a visitor to cover Portland, my assumption, it would take an annual lease, a bicycle, and an elastic stomach. 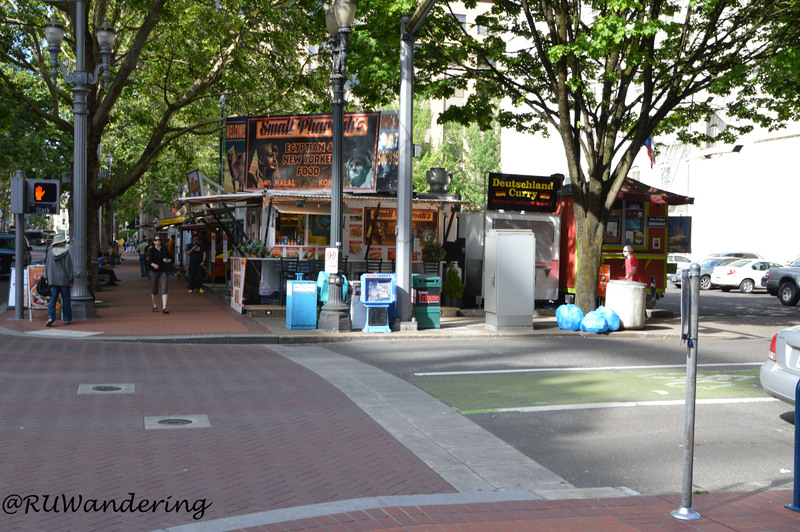 Portland is well known as a hot spot for their food carts. 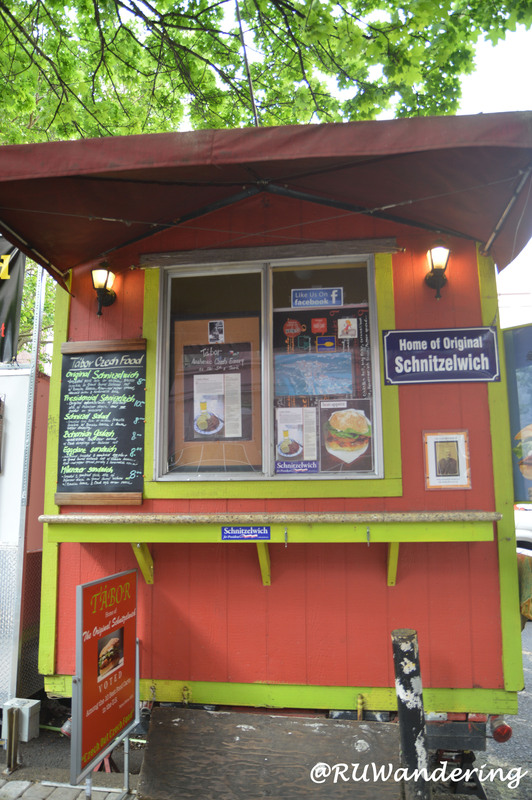 While many cities have spots, breweries, or festivals as known spots, Portland has their food carts organized in pods. Some of these pods are a hodgepodge of vendors, but some have actually organized themselves in some sort of category. Also, most food carts seem to be in the downtown area. And based on my experience, if a block doesn’t have what you like the next one is bound to have something you want. While Oregon may not initially portray itself as a melting pot like New York, Chicago, Los Angeles, the food carts’ cuisines portray Portland like a large box of crayons. Not far from my hotel was a pod that included a wide variety of Mexican, Egyptian, and Czech flavors. 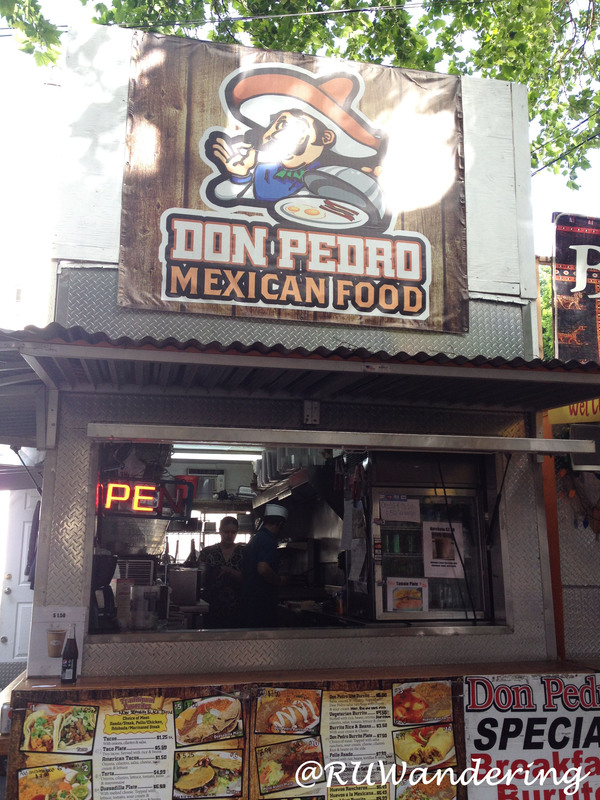 It had been awhile since our last Mexican meal, so our first choice was Don Pedro Mexican Food. 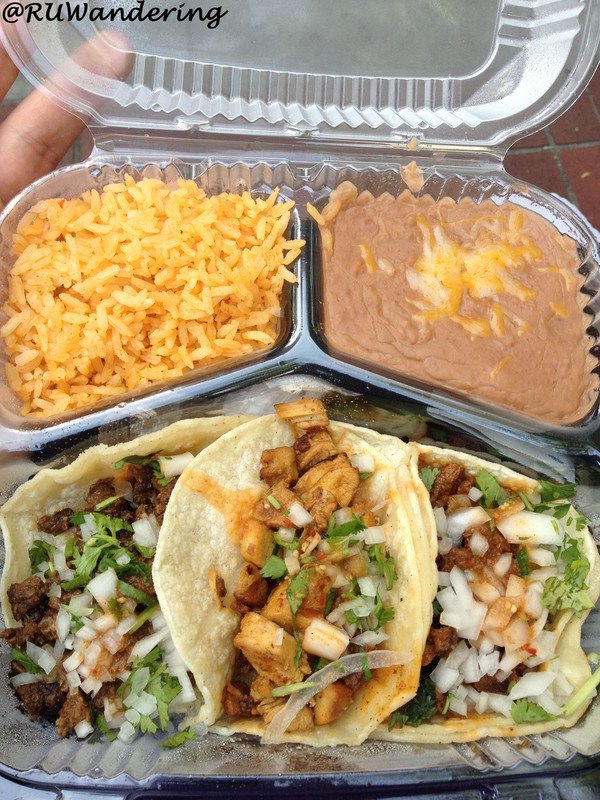 Wanting to try different flavors we grabbed a taco plate which paired two tacos with rice and beans. We had also hit the stomach snooze and our neglect had persuaded me to order an extra taco to the plate. This also gave us an opportunity to try all three meat choices (pollo/chicken and two kinds of steak :asada and adobada). The tacos are served street-style, which I am beginning to prefer over the larger shells style. If you are thirsty, Don Pedro also serves Mexican cola. Nostalgia always kicks in for an opportunity to taste soda (or pop) with cane sugar. Still in my first hours in Portland and we wanted to continuing wandering. 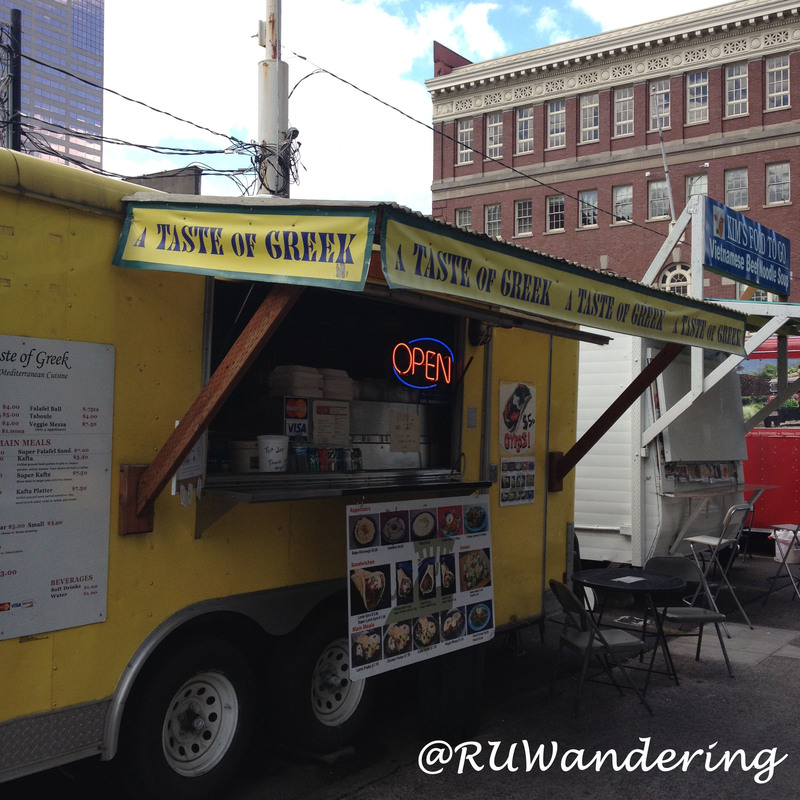 As I lead in, it is very easy to find food carts in Portland. A few blocks from our first stop and we came across Pulehu Pizza. Who doesn’t like a good pizza pie? 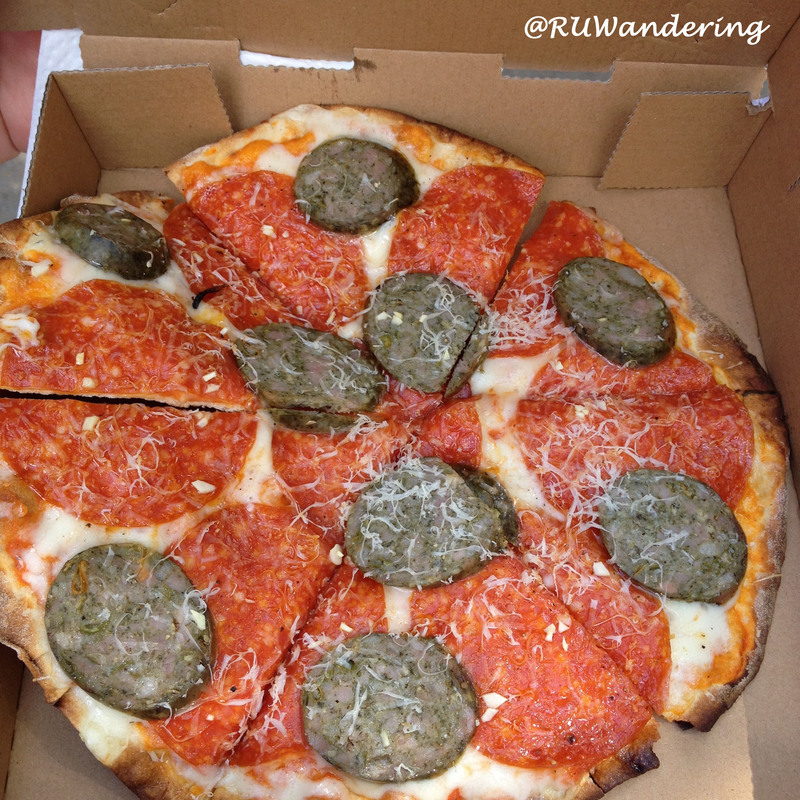 Pulehu Pizza uses a thin-style crust similar to what is popular in Europe. The difference is the “Pulehu”. Pulehu in the Hawaiian language means to grill on an open flame. Instead of a hot pizza oven on the cart, they have a hot, open flame grill to cook their pizzas. We ordered a popular menu item, Meat Lovers. The pizza is loaded with large pepperonis, locally made Black Pepper Garlic Sausage from Sheridan Fruit Co, and fresh grated Parmesan cheese. While every pizza is grilled to order, your patience is rewarded with scrumptious edible dividends. It was here I also had an opportunity to drink the locally made Shirley Temple Soda. 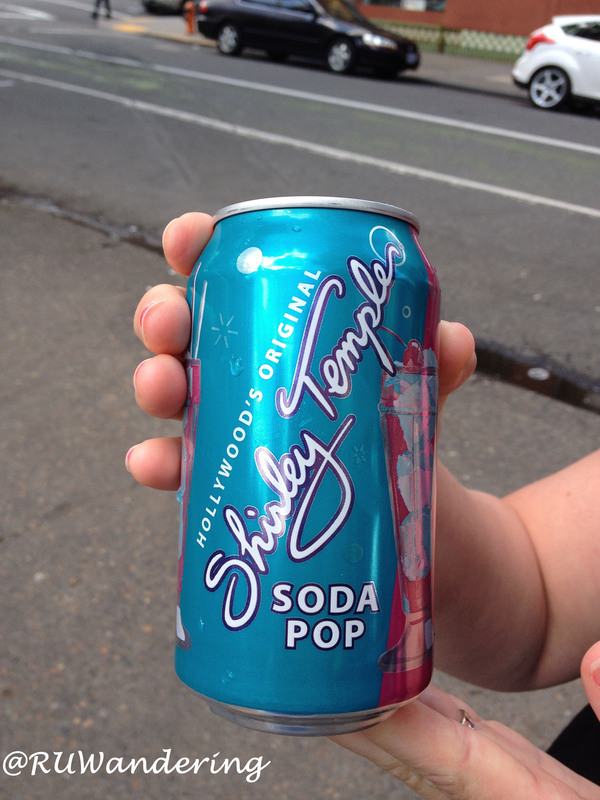 While it has been years since my last Shirley Temple, I thought drinking locally made soda was pretty sweet. Our last walk around had us stopping at A Taste of Greek. My go-to is always a lamb gyro, because I feel Greek cuisine really brings lamb out. A Taste of Greek keeps this tradition and in a big way. 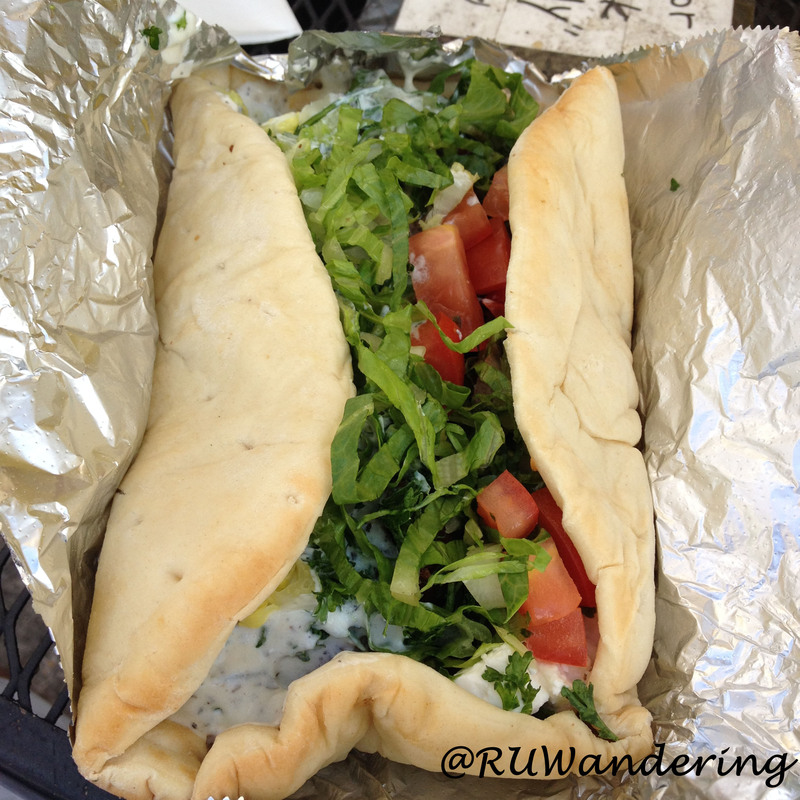 I say this because I felt the pita was super-load with Greek Flavors. The pita baked for the job had the right amount of density to still be airy and hold all ingredients. As I grabbed hold of it, I sat down on the provided table and chairs outside the cart enjoying every bite. While these are only three carts, there are many more to wander into here. Hence my opening that you will need an annual apartment lease to truly wander around. If you don’t have a year to wander, or don’t care to wander the Internet, a great resource for Portland is Food Carts Portland. The site is organized well and they are always updating with new food carts in the city. Next Portland trip, I hope to try out Tabor.